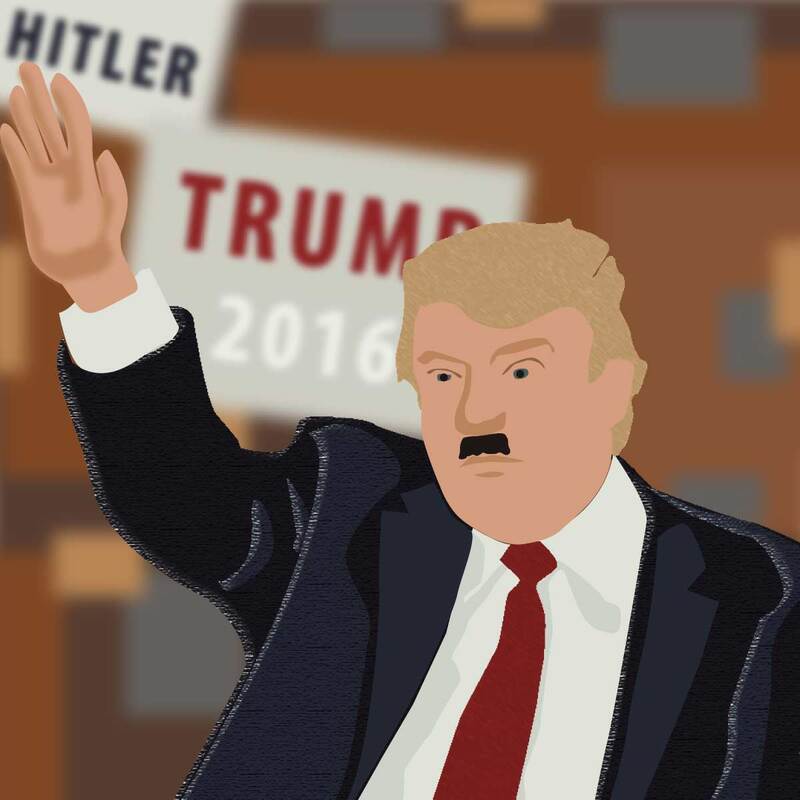 Trump Mustache | Face it: We don't need another Hitler. TRUMP CHANGES THE FACE OF AMERICA! We cannot continue with 1% owning the rest of us. We reject “Amerrika”, land of the fee, home of the slave. We're not being sore losers: We say it because this figurehead mocks dignity & fairness. While he occupies the ultimate position of trust, it degrades the whole human potential of the United States. We're not fostering hate, just calling it by name. 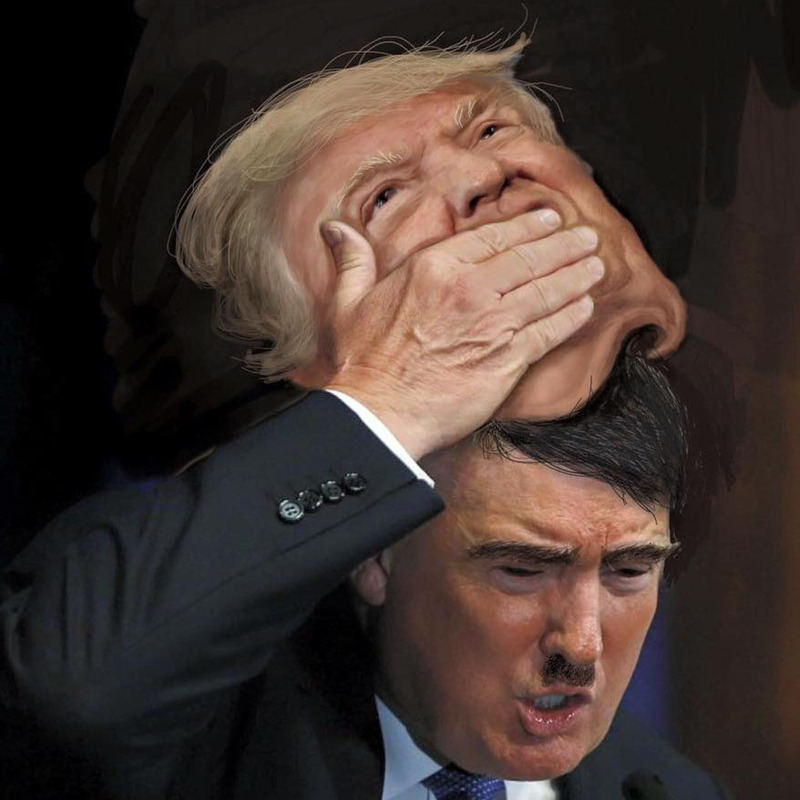 When our national identity and political dialogue no longer reek of hate, we'll put the mustaches away. Sales tax included. No hidden charges. We donate $0.86 / sale to fellow activists. Together we'll eighty-six Trump. A tiny band of merrymakers bold enough to call it like we see it. Activist groups, Contact Us for bulk purchases at discount rates. 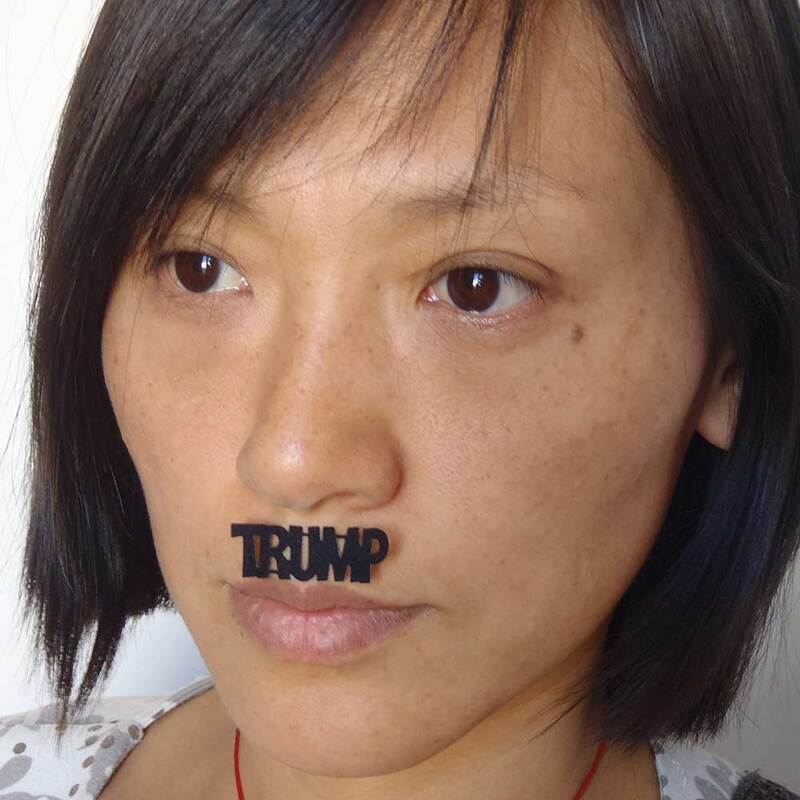 What does it feel like to wear Trump's Hitler Moustache? Scary as hell. Oddly empowering. Trump tee says "NOPE" instead of "HOPE"